Years ago on this web site I bemoaned the fact that being a devoted MMA fan means that we don’t ever get to appreciate the joys of the offseason: that sacred time in the lives of fans of other sports when the world is full of boundless possibility and the thrill of reality-free speculation, when their opinions have as much validity as anyone else’s and records and results are mere abstractions, “when theory reigns and hope still lives.” The fact that there are no seasons in MMA means we’re never given the time we need to truly luxuriate in our opinions and debates with fellow fans before another fight night arrives—which is half the fun of being a fan. Well, this morning a group of high-powered Washington D.C.-area businessmen and sports moguls announced the creation of a new mixed martial arts organization they hope will change all that. The Professional Fighters League (born out of the ashes of the World Series of Fighting, whose fighting operations and event infrastructure the PFL group purchased earlier this year) will feature a 10-month structure with a regular season, during which each fighter will fight three times; a post-season single-elimination tournament; and a championship match in seven different weight classes, including women’s divisions. 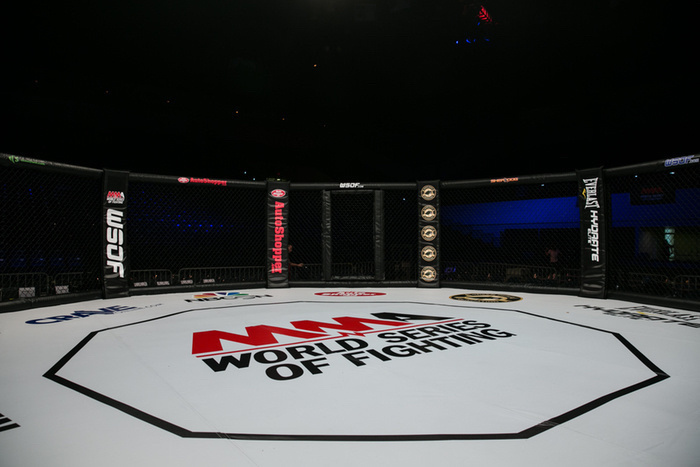 According to the league press release the PFL will be open to all professional MMA fighters, but there’s no word yet what will become of the more than 100 fighters currently under contract with the WSOF or what the new tournament format will mean for WSOF champions Blagoy Ivanov (heavyweight), Jon Fitch (welterweight), Justin Gaethje (lightweight), Andre Harrison (featherweight), and Bekbulat Magomedov (bantamweight). What we do know is that the league will feature a $10 million prize pool in its inaugural season (which is scheduled to start in January 2018), with each of the seven division winners taking home $1 million and the other $3 million being distributed among the other competitors. According to Ray Sefo, the former head of WSOF (and a former professional fighter himself) and now the Professional Fighters League’s president of fighting operations, the mere possibility of making a million dollars should be enough to attract top fighters to the league. What this new league can also offer is the involvement of several members of Washington D.C. sports royalty—men and women who, on paper anyway, have the experience to help guide it into something like mainstream legitimacy. While the PFL was co-founded by hedge fund managers and venture capitalists, its investors include Ted Leonsis, who owns the Washington Capitals of the NHL and the Wizards from the NBA, and members of the Lerner family, who own the MLB’s Washington Nationals. The league also claims that it will be revolutionizing the experience of watching and appreciating MMA, connecting “fans to our fighters and the sport they love in unique and innovative ways.” But they all say that. And let’s be honest: What the Professional Fighters League can truly offer is the possibility of a gilded offseason: that most American of sporting traditions. Just think about what it will be like when October is done and you’re now free to spend your holidays boring your friends and family members with your thoughts on the most recent MMA season and your speculations about the season yet to come. During Thanksgiving dinner and while opening Christmas presents under the mistletoe you’ll be free to complain and whine and moan and swear up and down that if you were one of those fighters or one of those fighters’ coaches you would have done things differently, and better—and to assure those who don’t believe you that you’ll be proven right when January returns. At long last you’ll be a true American sports fan: existing in the glorious world of the possible.